At the expedited hearing, sworn testimony and documentary evidence were admitted. At the parties’ request, the ALJ continued the case to allow the parties to submit written closing argument by February 17, 2012. On February 13, 2012, District filed a request to move District’s Exhibit D3 into evidence on the ground that District had inadvertently withdrawn the exhibit from its exhibit binder on the last day of the hearing. Parent did not file a reply. On February 21, 2012, the ALJ issued an order granting the motion, and reopened the record. Exhibit D3, an individualized education program (IEP) dated August 10, 2010, was marked for identification and admitted into evidence. On February 17, 2012, District filed a written closing argument, Parent did not submit any argument, the record was closed and the expedited matter was submitted for decision. 1 Administrative Law Judge Theresa Ravandi observed the hearing. On February 23, 2011, Parent submitted a written closing argument dated February 21, 2012, to OAH. It was deemed to be a motion to reopen the record to permit her to belatedly file Student’s closing argument. However, Parent did not provide any indication that she served the attorney for the District with her argument, rendering the letter an ex parte contact with the ALJ. On March 1, 2012, the ALJ issued a Notice of Ex Parte Communication and Order Denying Request to Reopen the Record, in which Student’s motion to reopen the record to permit a belated filing was denied. 2 On January 12, 2012, OAH issued a determination of sufficiency order that dismissed Student’s allegations involving discrimination and negligence under state civil tort law. The PHC order dated January 23, 2012, bifurcated two FAPE problems for a regular due process hearing. The expedited issues have been reframed, reorganized, and clarified. 1. 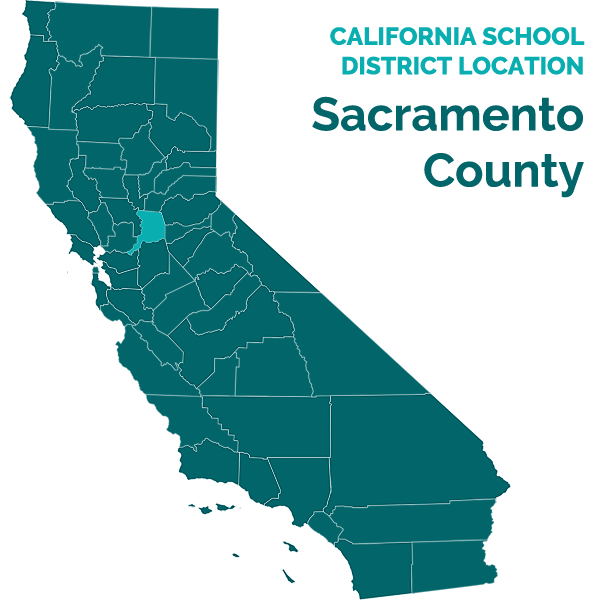 Student resides with Parents in Antelope, within the jurisdictional boundaries of the District. Student is a 15-year-old girl, and was in the 10th grade at Center High School (CHS) in the District until she was expelled in November 2011, based on the incident that is the subject of this expedited decision. Student was home schooled until sixth grade. The evidence is undisputed that Student is eligible for special education and related services under the category of OHI, primarily based on a medical diagnosis of ADHD. Student has also been diagnosed with asthma and allergies.3 She was first made eligible for special education in August 2010 in connection with her matriculation to high school. 2. While pupils with disabilities are subject to disciplinary measures such as suspension or expulsion by a school district, federal law prohibits expelling a special education pupil whose conduct was a manifestation of his or her disability. If the school district decides to change the educational placement of a pupil with a disability, by either an expulsion or a suspension in excess of 10 days, because of a violation of law or code of conduct, the parents and relevant school district members of the pupil’s IEP team must meet and review all relevant information in the pupil’s file. The review team must determine: (a) if the conduct in question was caused by, or had a direct and substantial relationship to, the pupil’s disability; and/or (b) if the conduct in question was the direct result of the LEA’s failure to implement the IEP. 3 In addition, in 2010, Student’s pediatrician referred her to a psychiatrist who issued a “rule out” diagnosis of possible depression. 6. On November 9, 2011, the District held an expulsion hearing. On December 13, 2011, the District’s governing board issued the hearing panel’s Findings of Fact and Recommendations for Student’s expulsion through the second semester of the 2011-2012 school year (May 24, 2012), with a rehabilitation plan. 4 District’s expulsion hearing panel ultimately found that Student did not violate this statute because “this was her first offense for possessing not more than an ounce of marijuana,” and dismissed the charge. 8. In April 2010, when Student was in eighth grade at Wilson C. Riles Middle School in the District, she was assessed and the District members of an IEP team found her ineligible for special education. District developed a “504 Plan” for Student.5 Parents disagreed with those actions, and the District conducted further assessments. 5 A 504 plan is a document created pursuant to the federal anti-discrimination law commonly known as Section 504 of the Rehabilitation Act of 1973. (29 U.S.C. § 794; implementing regulations at 34 C.F.R. § 104.1 et. seq.) Generally, the law requires a district to provide program modifications and accommodations to children who have physical or mental impairments that substantially limit a major life activity such as learning. 6 While Mother signed her consent to the 15-page August 2010 IEP without exceptions to the contents of those pages, she also inserted a request to add a 16th page, which was apparently an “IEP at a Glance” summary sheet of Student’s IEP given to the teachers. However, the 16th page was not added to the IEP in evidence. That document was not presented at hearing and the record is unclear whether Mother or the District prepared that sheet. There was no evidence that the summary sheet constituted Student’s counter offer to any of the programs and services offered to Student in the IEP. Therefore, District did not counter and accepted Mother’s consent to the IEP. Had Mother’s addition requested to substantively change or make a counter offer to District’s proposed IEP, that would have negated Mother’s “consent,” and the IEP would not have been agreed upon. 28. CHS Vice Principal Steve Jackson immediately conducted an investigation. Mr. Jackson has worked in the District since 1989, as a vice principal at several schools, and as a teacher. He holds a master’s degree in educational administration. Mr. Jackson placed the girls in separate rooms for questioning. Mr. Jackson credibly testified that Student admitted smoking marijuana with the other two girls in the restroom and explained to him that she had received it as a gift the day before, but denied knowing where the remaining marijuana was.8 He then called Pupil C into his office, who informed him that Student still had the substance and had tucked it in her bra. Mr. Jackson called Officer Emily Kelly of the Twin Rivers Police Department and she immediately responded and investigated the incident. Mr. Jackson established that Officer Kelly interviewed Student. After initially denying she had it, Student produced the canister. Officer Kelly inspected the contents and based on her experience and training, confirmed to Mr. Jackson that it was marijuana. Mr. Jackson notified all three families. Based on his investigation, Mr. Jackson prepared a written site incident report. District did not refer Student to law enforcement for criminal prosecution but dealt with the incident as a school discipline problem. 31. Student informed Mother and the District expulsion panel that when Student was walking to her first period class, she saw Pupil B heading to the restroom, and followed her into the restroom instead of going to her first period class. Mother argues that this was impulsive and just a coincidence and did not constitute a plan made the day before. However, Pupil B wrote in her statement to the school authorities that “[y]esterday[Student] received weed from [Pupil A]. We made a plan to smoke it today. Ditch 1st period. So then, we met up in the bathroom and she showed me the weed.” While Pupil B’s statement is hearsay, it is admissible to explain and supplement other evidence.9 Here, the evidence established that Pupil B’s conduct in meeting Student at the beginning of school was consistent with Pupil B’s written statement. 9 See title 5, California Code of Regulations, section 3082, subdivision (b). 34. Dr. Whalen facilitated the team meeting, including providing all parties with the standards to be used to evaluate whether Student’s conduct was a manifestation of her disability. The meeting was almost two hours long, during which Parents and Student presented information in an effort to exculpate Student. For example, they explained that Student was afraid to refuse to accept the marijuana from a “bully;” and that the substance was probably not marijuana but an herb. They argued that Ms. Radi should have checked Student’s backpack for missing homework on Monday, October 10, 2011, although the IEP in effect called for the homework check to be done on Fridays. In addition, they contended that the school’s failure to stop drug activity on campus and infrequent reminders of the consequences lowered Student’s “awareness of the inappropriateness of the behavior and its potential consequences.10 Further, Parents informed the team that Student’s ADHD medication was not in full effect at the time the smoking incident occurred on October 11, because the medication had been taken much later than normal. 35. Mr. Graham liked Student and taught her in his fourth period social studies class in the fall of 2011. He was aware that Student was a special education pupil with an IEP, and persuasively established that he was aware of, and implemented her IEP accommodations and modification in his class.11 Mr. Graham described Student as a quiet pupil who never had a discipline issue, was never tardy, usually worked “below the radar,” and was then receiving an A minus in his class. He found that Student tended to be passive, became overly preoccupied, took longer than other pupils to complete assignments, and was often be disorganized. He did not recall any impulsive, erratic or hyperactive behaviors in his class. Mr. Graham was saddened and disappointed by Student’s conduct and his responsibility to turn her in. 10 District established that at the beginning of each school year, including the 20112012 year, parents were required to sign a notice of receipt of District’s disciplinary matrix. In addition, at that time District provided all pupils the school handbook containing the rules, and had an advocacy class during the first week of school in order to review all of the school rules and expectations for success. 11 Mother testified persuasively that some of Student’s general education teachers were not aware of her IEP until a back-to-school night held within the first few weeks of school. However, Mother made sure all of Student’s teachers were aware of her IEP after that. 37. The meeting notes reflect that the manifestation determination review team discussed Student’s IEP, teacher observations, grades, prior school records, including disciplinary records, and relevant information provided by Parents. The team also discussed the facts and events relating to the drug incident. The review team considered Student’s unique needs, and whether her IEP had been implemented. The team also discussed Student’s ability to understand the impact and consequences of her conduct regarding the incident. After listening to Parents and Student, all members of the review team voted out loud and all District members of the IEP team did not find anything in the information and explanations provided by all present, including Parents and Student, to persuade them that Student’s conduct was caused by or had a direct and substantial relationship to her disability. In addition, the District members of the review team did not find that any school personnel had failed to implement Student’s IEP. The evidence supported their findings. 13 The LEA may also request a hearing in specified circumstances. 14 Other Education Code sections define additional acts that may be grounds for discipline. 15See Evidence Code section 664. 16These findings and legal conclusions do not constitute rulings on whether Student’s operative IEP provided a FAPE. As initially indicated, the FAPE issues have been bifurcated and are set for a separate hearing.